Mr. John William “Bill” Farris, 81, of Yemasee, went to eternal rest on Thursday, August 23, 2018 at Bayview Manor in Beaufort, South Carolina. Funeral services will be held 2 o’clock, Saturday, August 25, 2018 at The Brice Herndon Funeral Chapel, Varnville. Interment will follow in Zahler Cemetery. Born February 3, 1937 in Hampton county, he was a son of the late Otto William Farris and Thelma Youmans Farris. He served 2 years in the United States Army. 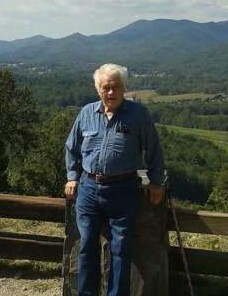 He moved to Georgia in 1971 and retired from the Bibb Print Plant as a maintenance engineer. He had a talent of fixing things and a creative mind to solve problems. He loved his family and loved spending time with his children and grandchildren. He loved the Lord and was a strong Christian man. He attended Yemassee Baptist Church. He also loved traveling and photography and enjoyed going out west every year to help missionaries build new churches and spread the word of God. He touched the lives of so many and will be missed greatly by all of his family and friends. Surviving are: his three sons, Walter Farris, David Farris, and Tim Farris (Angie), his brother, Donald Farris (Nancy); and his grandchildren, Nikki Gibson (Todd), Malynda Farris, Haley Farris, and Walker Farris. He was preceded in death by his wife of 26 years, Jeanne Johnson Farris of Forsyth, Georgia in 2002; and his wife, Ernestine Boyne Farris of Seabrook, South Carolina in 2015. The family will receive friends Saturday afternoon from 1 o’clock until the hour of service at THE BRICE W. HERNDON AND SONS FUNERAL HOMES AND CREMATORY, VARNVILLE-HAMPTON CHAPEL, 1074 Yemassee Highway, Varnville, 803.943.5016. Visit the registry online at: www.briceherndonfuneralhome.com.